In this readily legible book published in Spain in the Prudentia iuris series directed by Prof. Miguel Ayuso, the Chilean philosopher José Luis Widow offers us an intelligent presentation of the classical doctrine of natural law and ably defends it against the objections launched by philosophical modernity regarding the classical claim of knowing a natural order normative for man. In particular, Prof. Widow delves into some of the objections and theoretical issues raised in the recent past against the classical doctrine of natural law, examines them with scientific precision, and confutes them, thereby showing that natural law understood in classical terms ever remains an unequalled rational criterion of moral action. This book is divided into two parts. The first part consists of four chapters dedicated to natural law and objections to it, while the second part, made up of two chapters, is dedicated to politics as a moral sphere, and to good as the criterion and the ultimate aim of legislation. All this in six solid and abundant chapters. The first chapter deals with the distinction between the primary and the secondary precepts of natural law, acknowledging that said distinction must be made when considering the (common) good which is the reason for the norm. The second chapter responds to the objection that the precepts of natural law are tautological and hence inoperative. Thus considered is the proportionalist objection . Its arguments are weighed and the conclusion is that there is no tautology, and that the natural norms are “imperative, material and objective” (pg. 76). The third chapter tackles the issue of the foundation, the grounds of natural law, of good as foundation, of God as foundation. Chapter four deals with the accusation that natural law is abstract and alien to history. Reviving the lesson of Thomas Aquinas, the author shows how the immutability of natural law in its principles, metaphysically grounded immutability, actually renders possible and does not exclude a change in the secondary and derivative elements of the norm in light of the concrete historical condition. Chapter five, the first chapter of the second part, takes a look at today’s global society in the light of the classical conception of politics. In this chapter Mr. Widow flags the totalitarian nature of contemporary political-ideological regimes and how the new world order is emerging as a system that destroys the natural bases of society and its specific historical achievements. 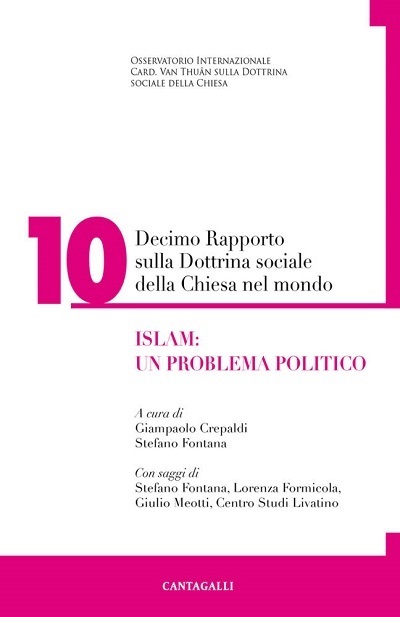 The chapter ends with several pages dedicated to “conditions so the world society may be political” (pr. 148) summarized in seven points that are the expression of Thomist moral-political tradition, and hence of the selfsame Social Doctrine of the Church. The last chapter deals with the end or aim of moral action, the end or aim of political life, thereby considering the issue of the dual end of man and resolving the issue in a Thomist-like manner with the assertion that “if virtue which is the end or scope of political life does not include the reference to God as end, politics itself is impaired” (pg. 164). Prof. Widow’s endeavor comes across as a precious instrument for a better knowledge of the doctrine of natural law and its defense in today’s cultural fora. Most auspicious would be its publication in Italian as well. 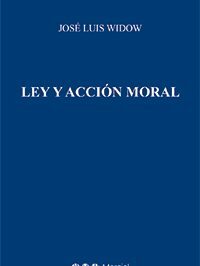 José Luis Widow, Ley y acción moral, Marcial Pons, Madrid 2016, pgs. 166. Liberty and fraternal responsibility. An important statement by Pope Francis closely regarding the Social Doctrine of the Church. Register for our Newsletter. You will be constantly updated on all our activities.